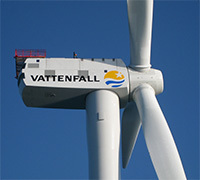 Vattenfall is one of Europe’s largest generators of renewable electricity. 100 per cent owned by the Swedish state it operates wind power turbines in Sweden, Denmark, Germany, the Netherlands and the UK. Vattenfall is keen to set new standards regarding the Health and Safety in all of its locations for employees and also for contractors and visitors who may attend these sites. In the UK this commitment has been demonstrated by the company taking the initiative to provide automated external defibrillator (AED) units in each of its site buildings and to provide units in lifting bags which technicians can lift up into the turbine nacelles when undertaking significant work. The aim of providing these AEDs is that anyone on site should have significantly faster access to life-saving equipment should they need it. 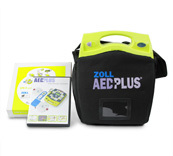 Safelincs has supplied Zoll AED Plus defibrillators to Vattenfall, a life-saving piece of equipment which not only delivers a controlled shock to save a patient from Sudden Cardiac Arrest (SCA) but provides CPR feedback and instructions to the first aider. The help feature gives audible and visual prompts for the rate and depth of chest compressions being administered during rescue. This AED is a semi-automatic device which can be used by minimally-trained members of staff. Safelincs has for many years carried out fire alarm system installations and servicing. 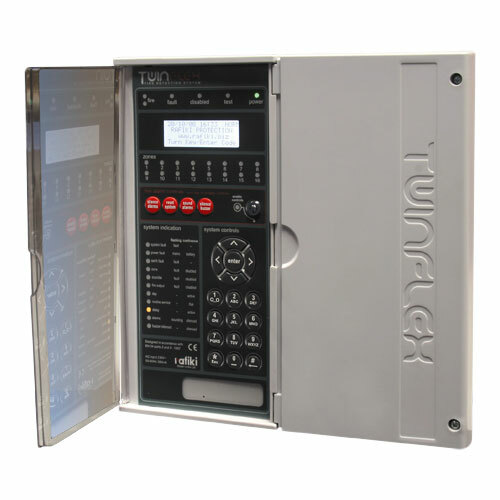 However, whilst we have been able to give online quotes for new wireless fire alarm systems we had not been able to provide simple online quotes for nationwide fire alarm system servicing without prior discussion with the customer and/or site surveys. This challenge has now been mastered and Safelincs can now offer clear pricing for fire alarm system servicing online; the price remains the same wherever our customer is based in the UK and whatever type of system is installed. The price is unaffected by the customer’s location and is calculated from the number of devices connected to the system. Our service is carried out in accordance with BS5839-1:2013 and covers all tests and certification to comply with the standard. If defects are found, there is a fixed hourly rate to deal with the repairs (should you wish us to carry out the work). Any replacement components are priced at our competitive online sales prices. We also offer our contract customers an out of hour emergency service to give you advice about silencing a false alarm. Should we be unable to rectify the problem over the phone we will attend the site within 8 hours. To book our fire alarm system servicing, just fill in our email contact form on our fire alarm servicing page or contact us by telephone. We will then contact you with a service agreement to be signed and returned so that we can arrange the service visit, at the price already stated online. On top of our existing wide range of extinguisher information guides we have now created a photo guide explaining how to find out the age of a portable fire extinguisher. The guide shows how the sometimes tricky to find date stamps can be spotted and interpreted and how different the meaning of the date stamp is for CO2 fire extinguishers compared with other fire extinguisher types. We also explain at what point the first extended extinguisher service is required. Ecclesiastical Insurance, the largest insurer of faith organisations in the UK, such as the Church of England and the Catholic Church, have confirmed that they are happy to insure organisations where the Fireworld maintenance free fire extinguishers are installed. This formal announcement follows recent acceptance statements from other insurers. The insurance industry’s embrace of the self-maintenance extinguishers is a major breakthrough for many businesses and organisations, as changing to the maintenance-free extinguishers could save each organisation up to £300 over the lifetime of an extinguisher. Purchasing Fireworld extinguishers could not be easier. 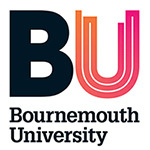 After completing the order, one of our BAFE certified engineers will visit the installation location and carry out a free site survey, ensuring that the correct type and number of extinguishers are installed. The extinguishers are then installed by the engineer and a demonstration of the simple yearly visual check, which can be completed by any able-bodied person, is given. The visual check process can be viewed through a video, too. The visit by the extinguisher engineer and all these activities are already included in the price of the extinguisher.